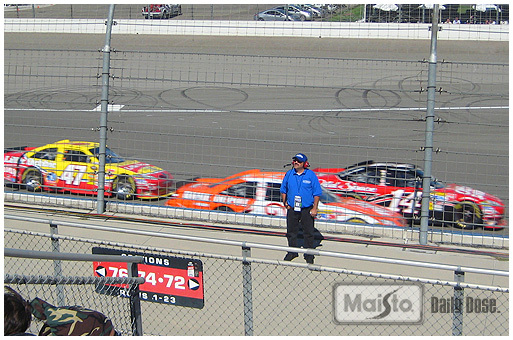 On 10/10/10, my family and I (well most of us) attended our first ever NASCAR race. It was pretty amazing. The sound and power these cars have is unbelievable! It is unlike anything I’ve ever attended. I knew they were loud and fast, but WOW, I had no idea. 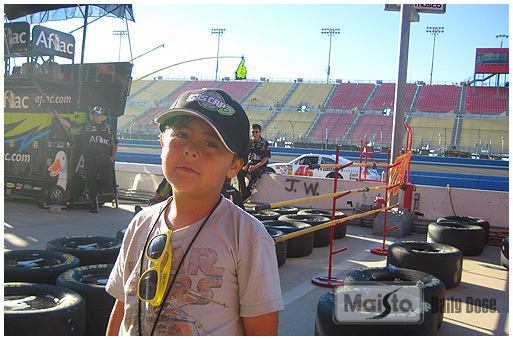 We got there really early and thanks to our buddy at Auto Club Speedway had pit pass access which was really cool, my son Jake loved it! Everything except the whole “walking” part. So in the pit we got stopped by some of the Auto Club Speedway crew and they asked Jake who his favorite racer was, he didn’t have one since we are fairly new to all this NASCAR stuff. The guy said, well have you heard of Tony Stewart? He’s pretty good, and gave Jake a lugnut off of Tony’s #14 Car. Jake was stoked and I think he now has a favorite driver/car. Here is Tony’s car being pushed into the pit area. Jake’s not sure what to make of all this… but I think he likes it. 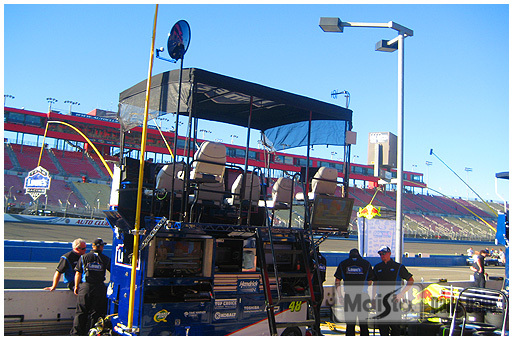 So after all that excitement, we walked up to our seats and waited for the start of the race. The national anthem by Kenny Loggins was awesome, and then the fly over, wow! I’ve never seen Jake’s eyes so BIG! And then the race started with those famous words “Gentlemen, Start Your Engines!” It was pretty loud, they went around slow at first, then the race started… WOW!!!!! After that awesome day, Jake getting a lucky lugnut, finding his favorite driver/car, who wins? TONY STEWART #14!!! Turns out it’s his first victory in California, how awesome is that? 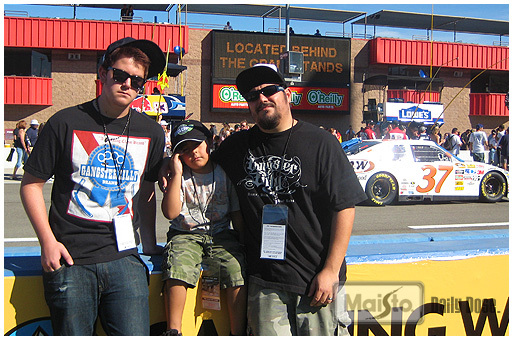 Special Thanks to Josh and Everyone at Auto Club Speedway for the great time! We will be back for more! It’s race week here in Fontana, CA. 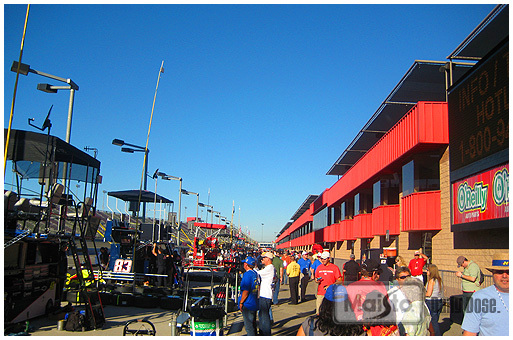 Not sure if you were aware of this, but the Auto Club Speedway is just down the street from CAPD headquarters. 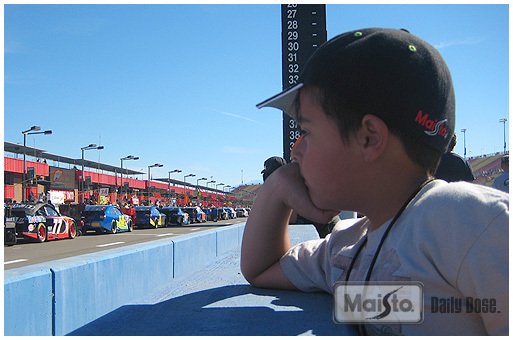 It’s pretty awesome when there’s some racing or qualifying going on, we can hear it at our offices. 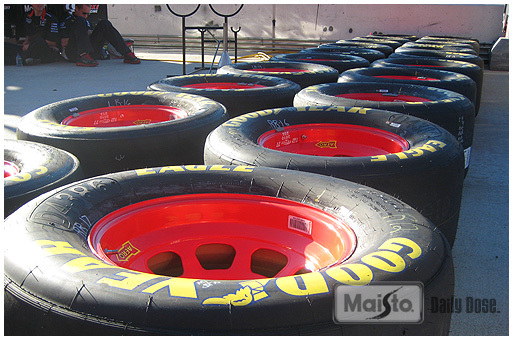 Nothing like the smell of burning rubber in the air. I stopped by the Auto Club Speedway Administration office the other day and saw this awesome statue/plaque in their lobby. It was very nicely done! this woody had a trailer with the famous Jimmie Johnson’s ride in tow. Whenever race week comes around, I see so many NASCAR big rigs heading to the track on the freeway or side streets close to headquarters. So here is today’s Freeway Foto of Digger and his buddies shot on I-15. They were lookin right at me! 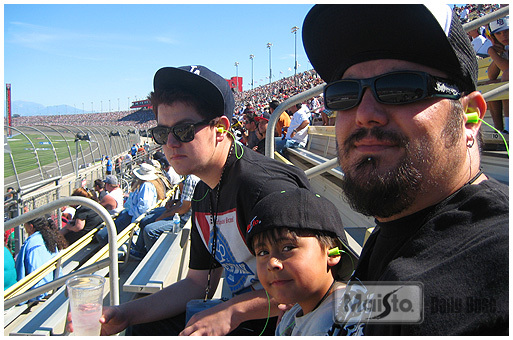 So I will be attending my very first ever NASCAR event this Sunday for the Pepsi Max 400! I’m looking forward to it.